Guests of all shapes and sizes can be found vacationing at Walt Disney World Resort. We often get questions on the discussion boards from concerned "larger" visitors in reference to having enough leg room, fitting comfortably in the various seats and/or restraints, riding on rides, and the roominess of the many turnstiles they’ll encounter, to name a few. "My Dear Husband (DH) and I are shorter, but definitely "pooh-sized". We find that most rides are rather comfortable, which is one of the reasons that we like to go to Walt Disney World over other theme parks. When DH and I ride together (we are both each over 230 pounds) we have no problem with both of us fitting in most rides that are meant for two (bench rides). The only ride that we each took one bench to ourselves was the Aladdin carpet ride. On rides where a lap bar comes down, we find that the bars usually come down to a comfortable level. Most theater seats are wide enough, although a little tight with my wider hips, but not impossible to sit through the show, get in or out of. The only "uncomfortable" time I had was in "Honey I Shrunk The Audience" when I sat between my husband and a man who was a large man himself, I was a little squished. The only ride that I find hard to do is Space Mountain. I find that the seats are big enough, but the restraint digs into my stomach when we go around those tight turns and sudden, quick drops. The biggest complaint I have is those awful turnstiles - - they really are a pain!! I go in sidewise, or just ask/go through the accessible entrance/swing gate (like Jungle Cruise and Pirates of the Caribbean). Many times, a Cast Member will open it up as we approach and we thank them and have a quick chat! "I'm a very tall person. I'm 6'9'' and I weigh about 265 pounds, which really isn't super heavy for my height. The front half of the cars on both Rock 'n' Rollercoaster and Test Track have much more leg room than the back half of the cars. Tall and/or pooh-sized folks should not ride in the middle seat of a rocket on Space Mountain. While the front seat on the rocket doesn't have much leg room, I can sit in it because there is no seat in front of it blocking my knees. However, people that are more pooh-sized than me should probably avoid the front seat of a rocket on Space Mountain. For both tall and pooh-sized riders, the back seat of a rocket on Space Mountain is the best choice due to its extra leg room and larger seat. "I'm a large gal, and I didn't have any problems with any of the rides that I went on. I was nervous about Tower of Terror. When I went, they were phasing out the lap bar, so I rode both with the bar and with the seat belt, and I didn't have any problems with either one. The only problems I did run into were the turnstiles on Pirates of the Caribbean (POTC) & Haunted Mansion. There was never an attendant around on POTC, so I was able to unhook the chain to the left of the rightmost turnstile and go in that way, hooking the chain back as I went. It's hard to describe unless you've seen it (and it's been almost two years since I was there, so it's even harder for me to remember). "Some of the turnstiles at the Magic Kingdom are a bit tight (the one at Pirates of the Caribbean is notorious!) but if you run in to an issue there, feel free to use the gates. You don't need permission or assistance, just walk on through. Have a great time! 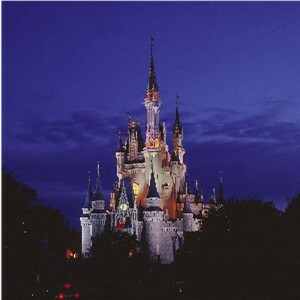 Walt Disney World is one of the most size-friendly places I've ever been." Add to these the VERY small, old turnstiles at Haunted Mansion and Pirates. In both cases, just let the greeter know the turnstiles are uncomfortable and they will back door you into the ride. Also, when riding the Railroad, the turnstiles in Frontierland and on Main Street are also the old small ones. My advice is to get on in Toontown where the turnstiles are much wider/larger. Outside of these areas, everywhere else on property either has a larger, adjustable turnstile or the magic bars which is a counter with no turn thing at all, just counts people as they go by. Star tours, may be uncomfortable and you may have an issue with the seatbelts. Muppet Vision 3-D, small seats. Kali River Rapids, seatbelts may be tight, but they have extenders or you can sit alone. Test Track, may be tight, but not bad. Honey I Shrunk the Audience, tiny seats. "From personal experience, I can tell you that I have never had a major problem in this area. Space Mountain is a little tight, as is Thunder Mountain, but nothing that prevented me from riding." "I have to tell you, I am 6'4" and 330 lbs and I have ridden every ride in all four parks except Dumbo and the Speedway. I and my partner, who is 5'6" and 340lbs. have not found any problem being able to ride ANY ride. Nor have we ever had a bad experience from either guests or cast members regarding our weight or the extra 5 second or so it occasionally take us to "un-wedge" ourselves. A very few are somewhat uncomfortable and we are a tight squeeze in some of the rides that are 2 across. "I learned last trip to ask for a seat in the front half of the cars on Rock 'n' Rollercoaster. There's lots more legroom for tall folks!" *Special thanks to everyone that contributed content for this page. If you have a story to share or a tip to pass along, please send it to guestrelations@intercot.com and we'll add it to this page.